Most tile and grout problems seen in Residential properties also affect Commercial properties. If you are a business owner experiencing broken tile, leaks, dirt grout and other issues referenced in our Residential Regrouting section, We can fix them! 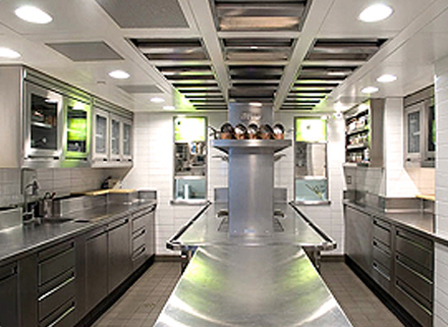 Regrout Systems also offers a special Epoxy Grout Treatment for Commercial Kitchens and Restaraunts. 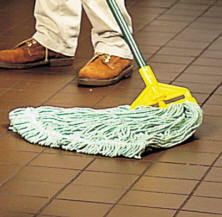 The constant exposure to water of commercial floors causes grout to erode and break loose from the tiles. This common problem is not only a violation of health code standards and a safety issue, but also can eventually lead to problems requiring the complete replacement of the existing floor tile. 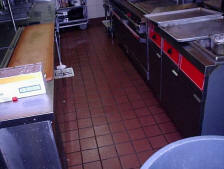 If you are experiencing this problem in your commercial kitchen, please Contact Regrout Systems for a free estimate! Don't become a victim of good intentions! Overcleaning can lead to disaster later. 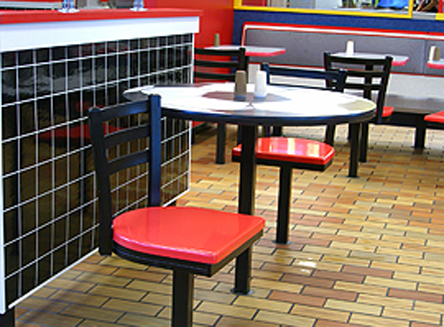 See our Aftercare section for how to Prevent Common Tile Cleaning Errors.